No Means No! 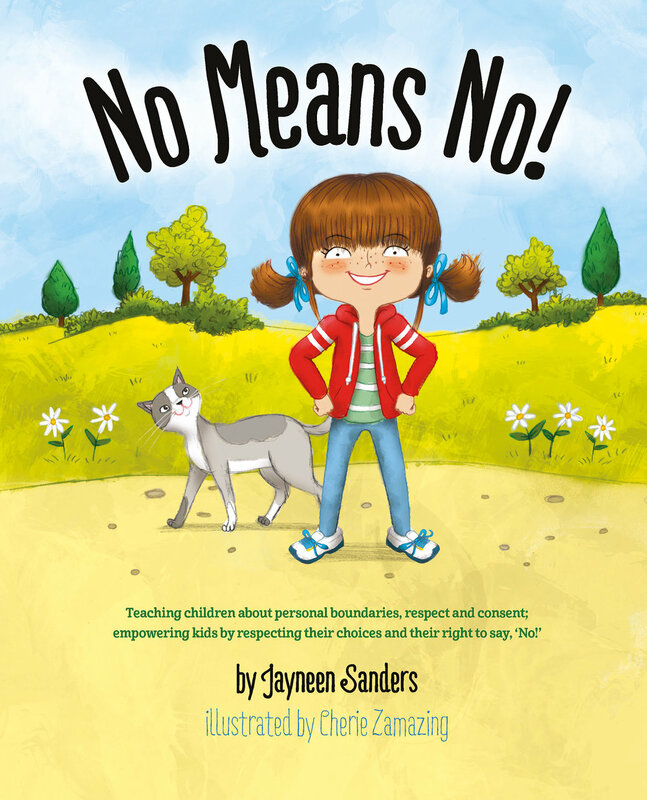 is a children’s picture book about an empowered little girl who has a very strong and clear voice in all issues, especially those relating to her body and personal boundaries. It is crucial that our children from a very young age have the confidence to speak up when they are unhappy or feel uncomfortable in any situation. A strong, confident voice as a young child converts to a strong, confident pre-teen, teenager and adult. Parents and educators can use this book as a springboard for discussions regarding children’s choices and their rights. The note to the reader and the discussion questions guide and enhance this essential conversation.